The Preseli Beast – Can you tame the Beast? So you want to tame the Beast? What is the Preseli Beast ? Is there really a savage Beast that roams this beautiful landscape of ours? No one knows for sure, but there are stories of old!, and the odd comment on my grizzly appearances at times after a night run! 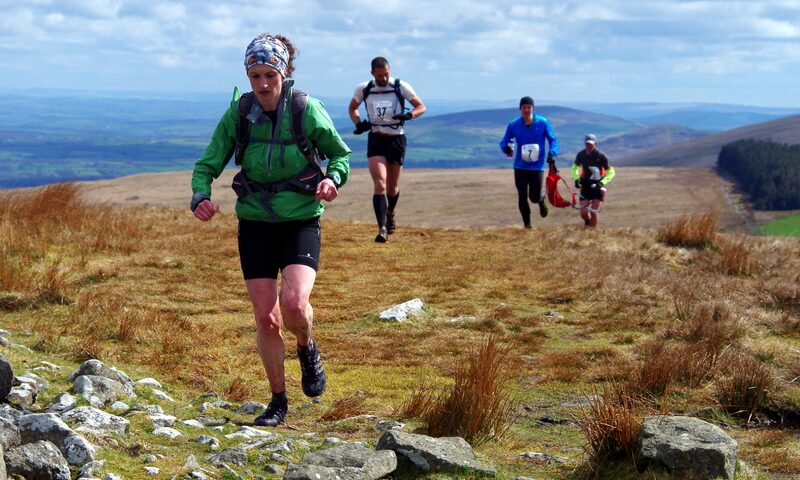 The Preseli Beast is actually a tough, scenic and exciting circular off-road/fell running race set in the heart of the stunning Preseli hills, North Pembrokeshire, West Wales on Saturday 11th May 2019. Entries are…………open! Beast Bach entries are currently full but you can always enter the Mighty Beast or, if you’re feeling brave, the whopping UltraBeasT!! The Preseli Beast & UltraBeast – Start-10am. The 24mile Preseli Beast race started in 2012 with many commenting on how fabulous the race, route, prizes, and the many cheerful marshals there are. And not forgetting the cake too! The start and finish is in the small ‘bustling’ community of Maenclochog, North Pembrokeshire. 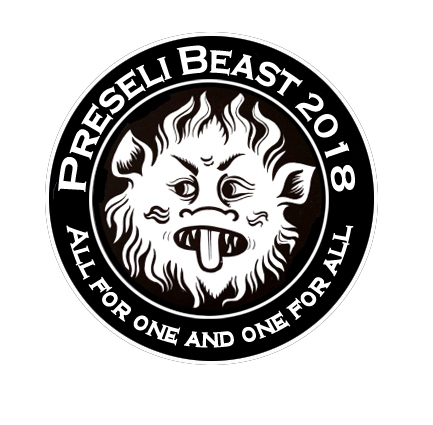 The race route takes in parts of the Preselis, the picturesque steep-sided wooded Gwaun valley, spectacular views over Newport Bay from Carn Ingli, and not forgetting…the Beast’s Lair! The overall distance of the Beast is approx 24 off-road miles, with approx 4,700 ft. (1420 m) of assents. That’s nearly one and a half times the height of Snowdon! There is a mixture of trail, fell, wooded paths, the odd boggy bit!, some steep climbs!! !, and water/feed stations approx every 5 miles. 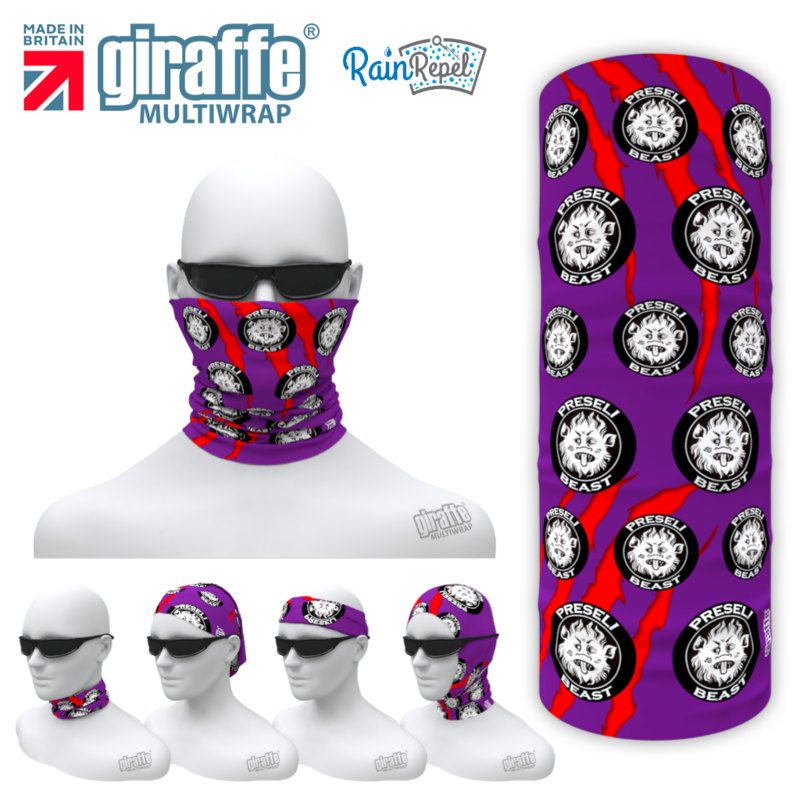 If that seems a little bit too much for you this time then you might be up for trying it’s smaller cousin, The Beast Bach (Small Beast) This is a mere (he says) 11 off-road hilly miles with approx 1,700ft (540m) of accents. Both routes share the same start and finish, and both take in the highest point of the Preselis, Foel Cwmcerwyn. The Beast Bach though doesn’t take in the Gwaun valley(twice! ), or views of Newport bay! It runs over the same first 4 miles, and final 6 miles as the Beast, and is less taxing overall! (Although some of the Beast Bach runners from last year would disagree with me on that one!!) If you do the Beast Bach, then you might be back next year to tackle the big one! Now if the Preseli Beast or Beast Bach doesn’t seem enough for you, then you might like to take on the bigger, badder, and altogether tougher 32 mile……UltrabeasT. It does all the Preseli Beast route until the second to last top, Foel Feddau. It takes a good mental attitude to head away from the finish line knowing you’ll be returning to the same top in an hour or two(or even three!!! ), but it’s all worth it as you’ll be taking in the amazing broad ridge known as the golden road. With amazing sections of single track it heads east to Carnalw, and to the bronze age fort, Foel Drygarn. It then returns via bluestone country, before rejoining the onslaught to the highest point. You definitely get your monies worth on this one with approx 6,000ft of ascent!!! You really do need to be on your game to tackle this one!!! You have been warned. Don’t be fooled to think that the UltrabeasT extra loop is an out and back on the same course Apart from about 300metres near Foel Feddau, the rest is different. Even more important news as of Autumn 2018– The Beast Bach will remain fully marked, whereas the Preseli Beast and UltrabeasT will require navigating! The first and latter part of both shares the same route as Beast bach, so it will be marked. It’s the bits in-between that you will need filling! You never know, you could find routes that I didn’t know existed!!! The road crossings/water stations will have marshals, and there will also be some markers in and around these areas. Category Prizes? Well, there are loads! Beast Bach– 1st & 2nd in M/F18-39,M/F40, & M/F50; 1st in M/F60; 1st & 2nd M/F local. Preseli Beast-1st & 2nd in M/F18-39 & M/F40; 1st in M/F50 & M/F60; 1st & 2nd M/F local; 1st team of 3 M/F. Please note the new cut off times for the 2018 events! Preseli Beast cut off times. Cut off Finish approx.- 6hrs, at an average of 4mph. Please Note: If you don’t think you can make the times, then please enter the Beast Bach. Beast Bach cut off times. Cut off point: CP6/Road crossing (5 miles) – 2 hrs (14.30). Cut off point CP9/Foel Drygarn(23.5miles/36.5km) – 6hrs (16.00hrs)You’ll head down with the marshal for a drive back to race HQ. Finish approx- 8hrs, at an average 4mph. So, you might ask what do you get for the money and hard efforts. A marked course, cheery marshals, category prizes, a fantastic goody bag(Incl the above slate coaster), cawl/broth with roll and cheese, tea/coffee, and a table that groans under the weight of cake!!! It’s why we all run isn’t it. lol. 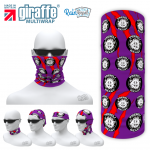 This year there is also the chance to purchase on the day a unique Beastly headgear! Princes Gate water has also agreed to sponsor all you thirsty runners with water too. Thank you. Here’s just ‘some’ past comments! I didn’t want to post them all, I wouldn’t have the space! If you have any questions then please don’t hesitate to contact – details in footer. And if that’s not all, there’ll be the ‘After Race Party’ in the evening at 7pm with music, hot food buffet, and a cheap licensed bar!!! Some of those who have entered are staying(roughing it basically!) in one of the three spare rooms in the hall so that they can have an enjoyable night!!! There are however more luxurious places to stay in the area, and these can be found on the accommodation page. I would need to know if you’re staying for the evenings entertainment so that we have an idea on how many to cater for.